Take a look at this beautiful image of a mousepad with a white mouse on top of it, a white keyboard and a notebook lying on a wooden workstation, it's a really gorgeous visual! Use it to showcase your designs in a creative and professional way, all you have to do is drag n' drop an image file on the interface, we will merge it for you in just seconds. Awesome, isn't it? 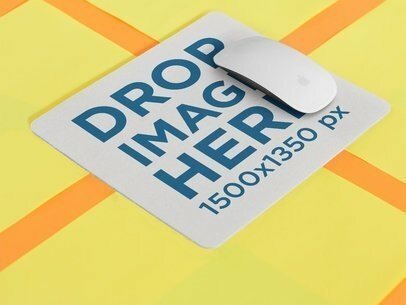 Try another Mousepad Mockup here! 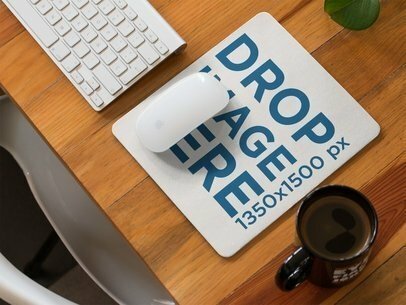 Check out this awesome mockup of a mousepad on a wooden desk with a morning coffee beside it, it's everything you need to start promoting your design to a higher level! Use Placeit and make more money! Drag-and-drop an image file on the interface, it'll be merged with the mousepad in a couple of seconds. That's right, just a couple of seconds! Try another Mousepad Mockup here! 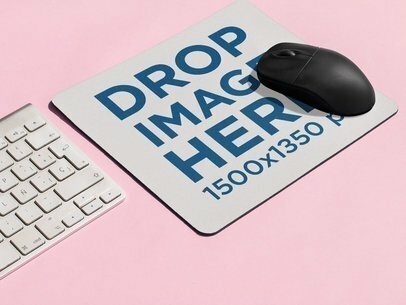 Check out this awesome mockup of a mousepad lying on a pink surface with a black mouse on top of it, there's also a white keyboard near it. A simplistic image like this is an excellent choice to display a design in a creative and professional way. Drag-and-drop an image file on the interface, we will merge it for you in just seconds! Try another Mousepad Mockup here! Check out this awesome mockup of a mousepad with a wireless mouse on it, they're lying on a gemoetric surface. Start making more sales with Placeit! 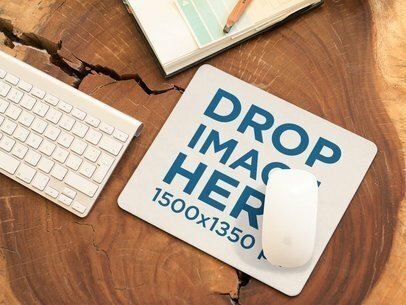 All you have to do is drag n' drop an image file on the interface and we will merge your image with the mousepad. Amazing, right? Try another Print Mockup here!